Picture Book: What Will Grow? Summary: It's almost spring here in Alabama so it's time for folks to plant seeds. and the 4 stages from seed to plant. The title question is asked and answered after each seed is described in a fun rhyming couplet. you are treated to an extra, fold-out page. Big plants for climbing are here. The origins of common flowers are considered. with a surprising fold-out treat! But this book is not just about the plants we expect to enjoy in spring and summer. and some we celebrate in winter. You'll find animal interactions which you can expand on with more science, helping children understand the God-ordained interactions of plants and animals. as well as the different directions of growth. and the results of all that work and time. Hanna’s Comments: Because the Bible was written in an agrarian culture and a simpler time, seeds are used repeatedly as literary illustrations of godly potential. Their symbolism is straightforward and relateable to young and old. Each seed has the godly wisdom to grow in its own way just as we have God's image in us to bless the world. Although we are each a unique seed with varied potential, our genetics tie us to other humans, particular animals, and the plants we depend on. 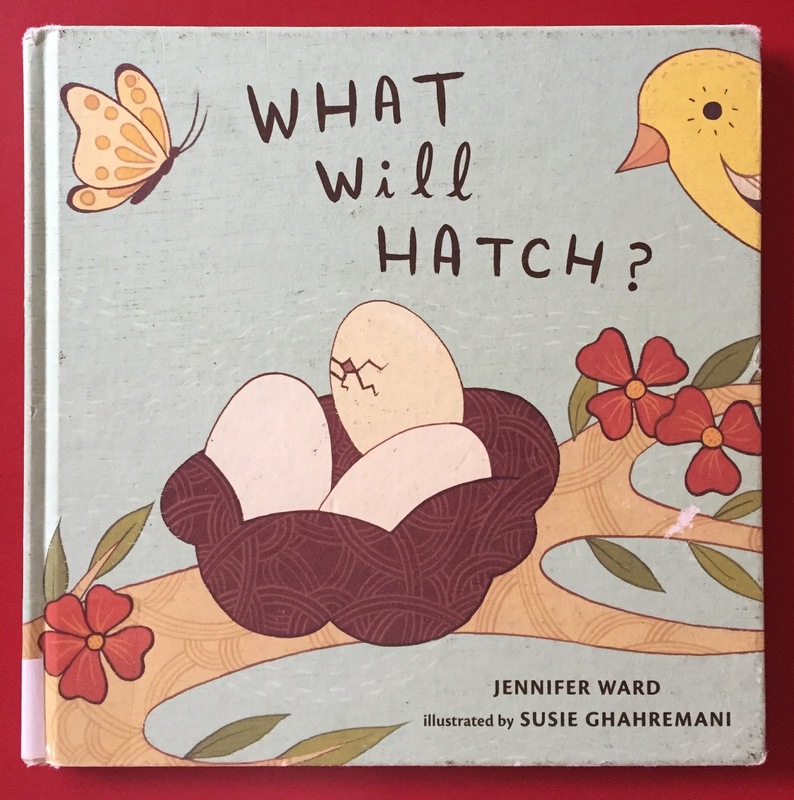 The first book in Ward & Ghahremani's series is What Will Hatch? Likewise, in that book the author/illustrator duo transform a set of simple scientific ideas about eggs into beauty we can then use for spiritual metaphors. The beautiful pages in both books (my photos don't do them justice) are thick for little hands to turn. Idea(s) for Application: Read this book during a lesson for young children in your faith family and link to scriptures in which seeds symbolically represent potential.